The Google “Cool Bar” was the talk of the Republican National Convention and Democratic National Convention. Google supplied a complimentary iced coffee service for their guests to enjoy while trying to beat the heat in Tampa and Charlotte. However, coffee bars aren’t just a hit at national conventions, they have recently been popular at smaller social events as well. 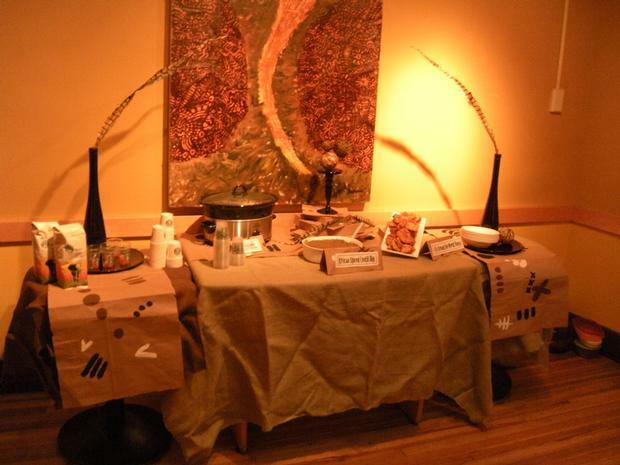 Coffee bars are a perfect touch for a baby shower brunch or a late night coffee service after a rehearsal dinner. You can even host a gathering centered around coffee such as this Kenyan Coffee Tasting featured below. The idea of a coffee (or even hot chocolate!) 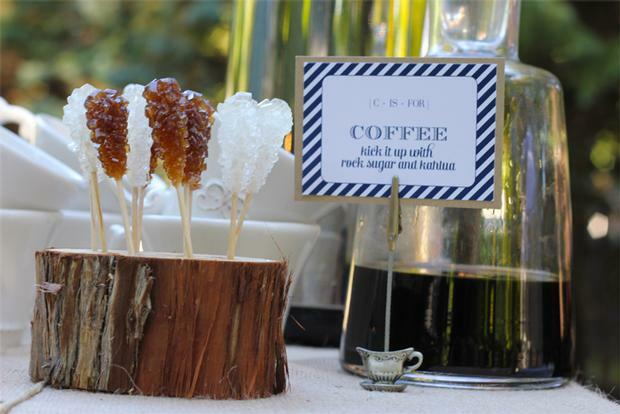 bar can be tweaked so many ways to create a fun, tasty touch to any event! Two years ago, I was blessed with the best gift in the world; my son Luca! It feels like yesterday when I was expecting and awaiting his arrival. The last two years have flown by and have been the greatest two years of my life! Not only was it Luca’s birthday today, but it was also his first day of preschool. I contemplated sending him to school on his birthday, but decided to send him since my husband and I would be able to go into the classroom for a birthday party! We thought this would give us an opportunity to meet the teachers, children and see how Luca was behaving in a new environment. 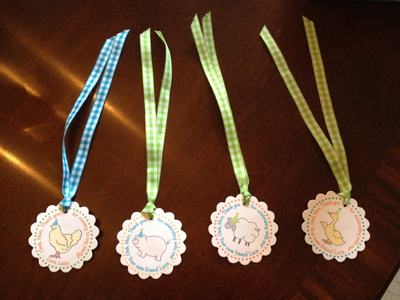 His birthday party will be on Saturday and the theme will be a barnyard/farm animals. I decided to carry this theme into his classroom. 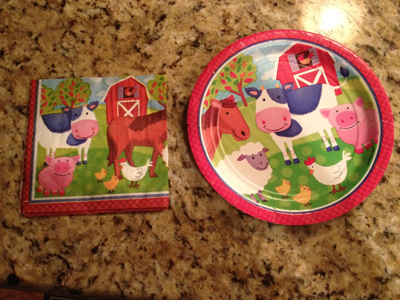 I bought colorful barn animal napkins and dessert plates. Each child got a mini Juicy Juice juice box and a mini cupcake. 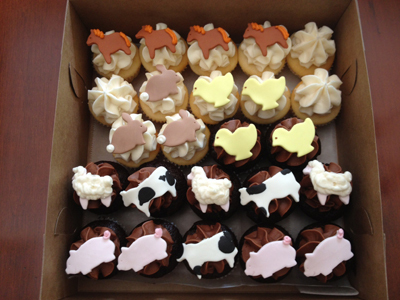 Each cupcake had a fondant animal topper on top of the cupcake. As the children ate their cupcakes I walked around handing out animal stickers and listened to kids all making animal sounds! It was very cute! 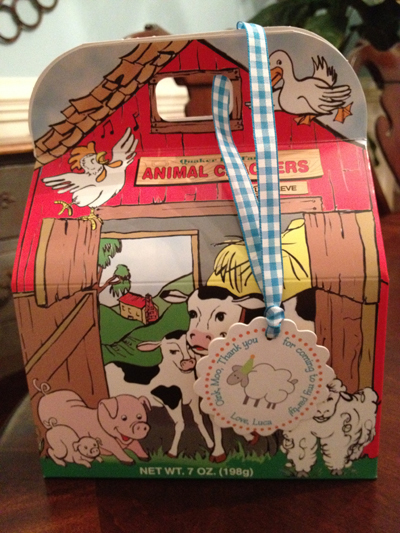 For favors, I bought each child a box of animal crackers and had thank you labels made that I tied around the handle of the box. I thought the party favor looked adorable and as a parent, felt this gift was better than getting a bag full of little toys and junk! 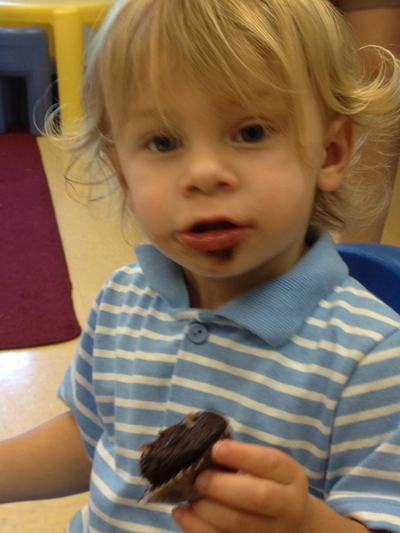 Luca enjoyed his first day of school and eating his cupcake with his new friends. I hope that he will be excited to go back for his second day of school on Thursday! Welcome Alex! I am excited to introduce to you my intern, Alex! 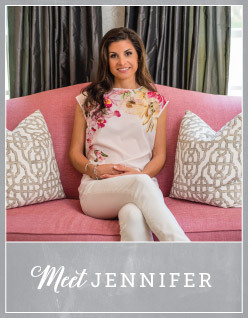 Alex worked events with me over the summer and will be working with Jennifer V. event design and planning through December. She is creative, outgoing, great with children and she too has a passion for making every event unique, unforgettable and flawless. Together, we give extraordinary personal service and will make sure each event reflects our client. I am already getting sad thinking about her having to leave at the end of the semester to go to Italy, but hey, I can’t blame her for wanting to go to one of the world’s most beautiful countries! To read more about Alex please see the “About” page on my website.